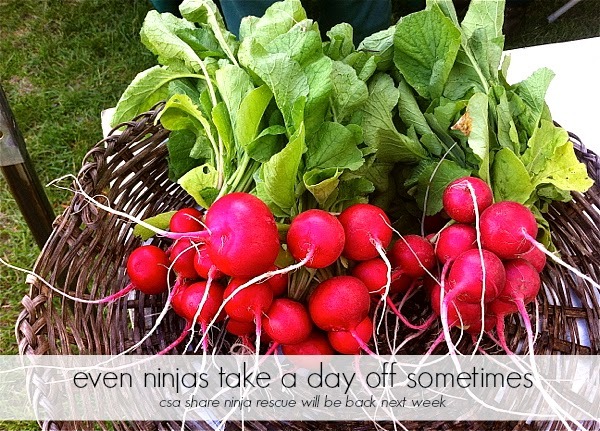 Even ninjas take a day off sometimes. But don't worry, CSA Share Ninja Rescue 2014 will be back next week. Until then, check out the Rescue Archives from the past three years for all kinds of fresh, seasonal produce recipe ideas. Did you know you can support this blog by beginning all your Amazon shopping right here?